The last time indie gaming goodness was bundled up in a (cardboard) box was in May, with The Capsule Computers Indie Bundle. Since then, Kyttaro Games have been busy getting Droidscape: Basilica onto the App Store, and now… another bundle is almost upon us! 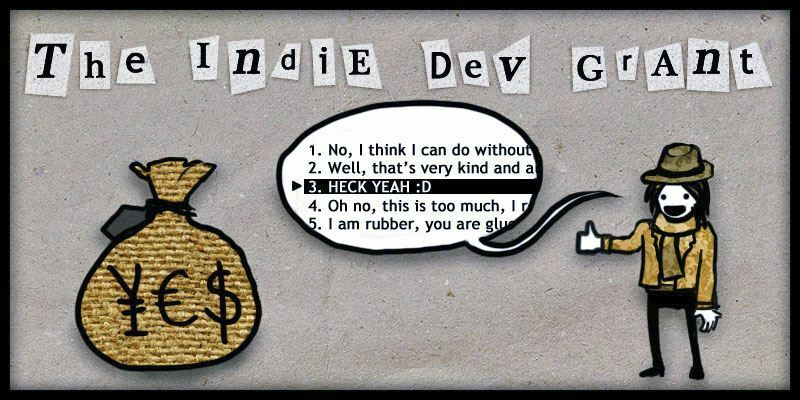 Oh and we mustn’t forget about the Indie Dev Grant. While the contents of this upcoming so-called The Indie RPG Bundle has not been revealed yet, we do know the genre of its games. Past bundles focused on mixing lesser-known titles with already popular ones and I for one am hoping they’ll be doing that with this one too. Most indie RPG fans are familiar with the bigger ones, like the Rain-Slick series, Dungeons of Dredmor, Tales of Maj’Eyal and so on. But what about the hidden gems, like Diehard Dungeon, Driftmoon and Underrail? Time will tell which, if any of these, will make the cut. For now, let’s move onto the grant. This part of the bundle focuses entirely on the developers, since it’s basically a competition from which the victor – one developer/team – receives funding to help finance a project. How much depends on Bundle In A Box sales, as $15 is added for every 100 copies sold, and since one purchase equals one vote, it’s up to bundle fans to decide who gets the grant this time. Simple enough and this way, voting is tied directly to sales, which is good. Each game or project will be presented on the BIAB Blog, our tumblr, facebook, google plus page and twitter and, of course, on the Indie Dev Grant site. Since submissions are free, aspiring developers have nothing to lose and everything to gain by partaking. Keep in mind however that the deadline is September 9, 2013, which is less than a week away, and do read the rules before submitting. Here’s to hoping this means The Indie RPG Bundle will be available within the month. Remember: if you want to buy/support just one bundle, go with the one that comes in a box!